An invaluable asset for any kitchen, LeGout Cream Soup Base delivers exceptional performance and versatility that chefs can trust. This instant soup base withstands heat and resists breakdown better than a from-scratch base, making it ideal for demanding recipes. 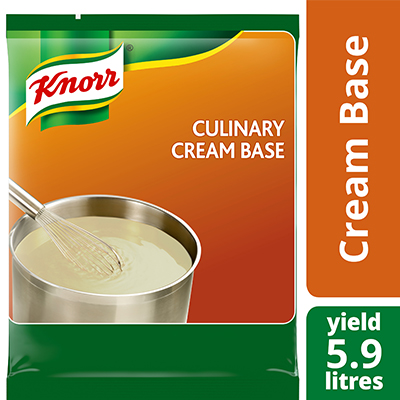 With its smooth, rich cream texture and delicious flavour, it is ideal for creating savory cream soups, white sauces, casseroles, chowders, and more. The cream soup base prepares in minutes; simply blend the soup mix into warm water, whisk until smooth, add other desired ingredients, and heat. To help minimize waste, this sauce mix can be frozen and thawed for easy reuse. Use to replace a bechamel and/or heavy cream in most savory recipes. make soups, sauces, dips and entrees quickly and easily.